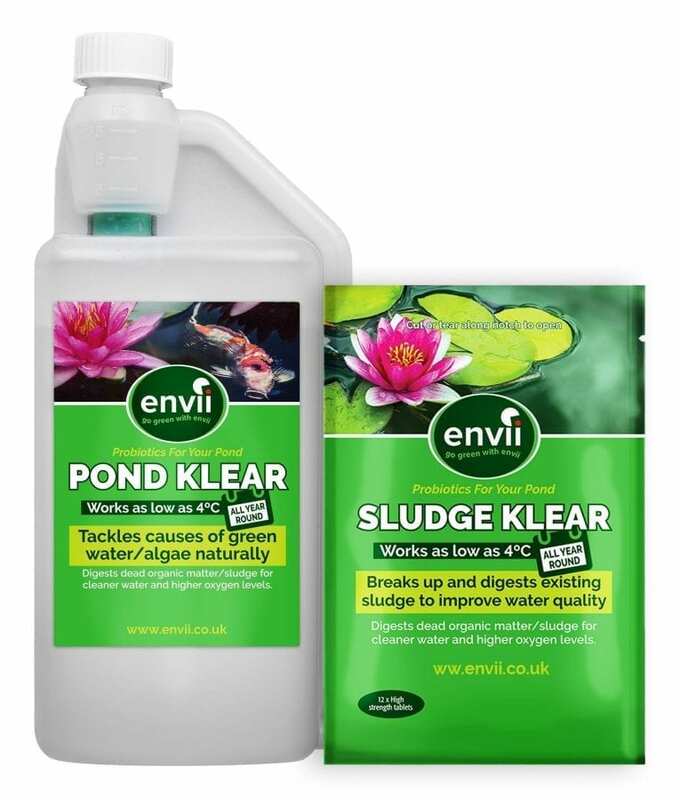 Pond Klear treats up to 20,000 litres. 6 Sludge Klear tablets treats 30,000 litres. 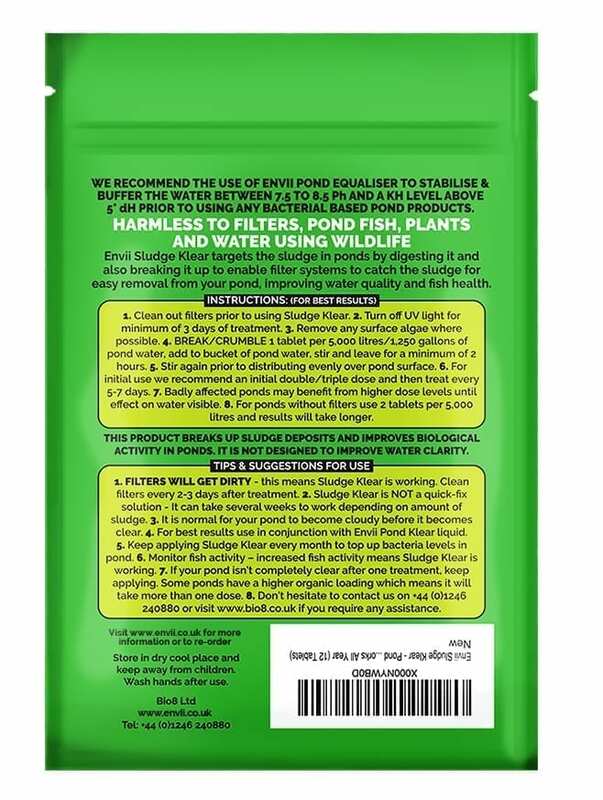 Avoid green water by not overstocking your pond and not overfeeding your fish. Yes, both products are natural products that are safe for all fish, plants and wildlife. Can both of the products be used together? Yes, the different strains of bacteria work well together to clear pond water and remove sludge. Can I still use this without a filter? Yes but it will take slightly longer to clear the pond.